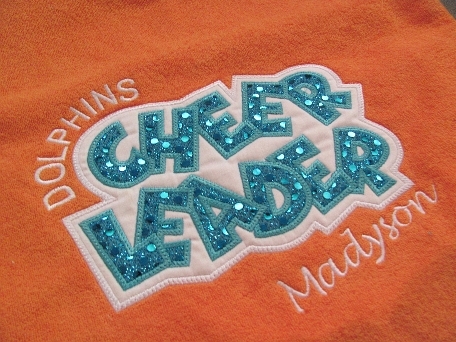 Your Dolphins Cheerleader will love this lined terry bag with sequin applique! 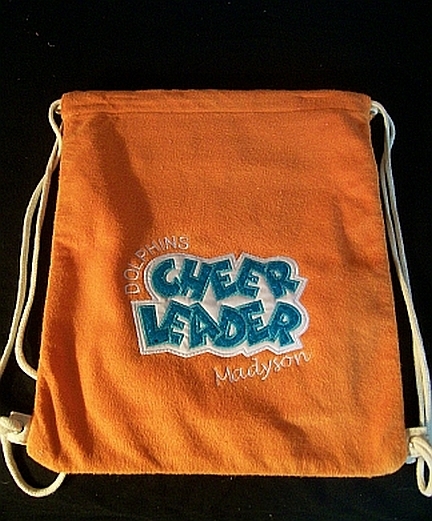 Bag has an inside zippered pocket & sturdy rope cording for comfortable carrying. Name added at no extra charge.